Cleaning up the back fence row! Anything to get out of the house on a warm Feb. day. 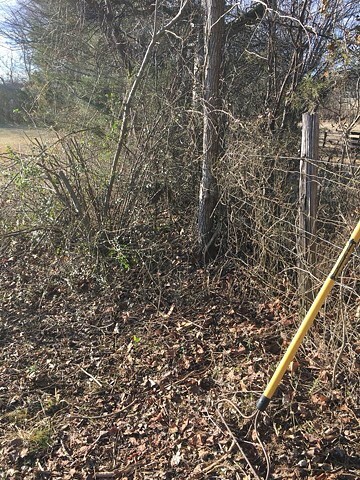 Cleaning up the back fence row.